1) March 26, 2010 The colchicum autumnale are at their very best this week. 2) March 26, 2010 I think it is a myth that the mixed border is easier to maintain than a proper herbaceous border – Abbie’s column. 3) March 26, 2010 Dealing to the dreaded cabbage white on brassicas and other garden tasks for this week. Autumn is the season that makes us feel just a little forlorn here. In winter (which is fairly short and certainly not cold by international standards) we are always busy preparing for spring. Spring is abundant with flowers and certainly the prettiest time here. Summer is for sitting in the shade sharing conversation and a bottle of wine while enjoying the warmth. But autumn just means it is going to get colder and wetter sooner than we would like. It is not even as if we get good autumn colour, or much autumn colour at all for that matter. New Zealand’s native flora is all evergreen so our landscapes are dominated by green foliage twelve months of the year. And good autumn colour requires sharp changes in temperature as a trigger, best complemented by forests of deciduous plants. We just drift so slowly and imperceptibly from one season to another, particularly in our mild coastal location, that few plants get the message right. But what we do have are autumn bulbs. 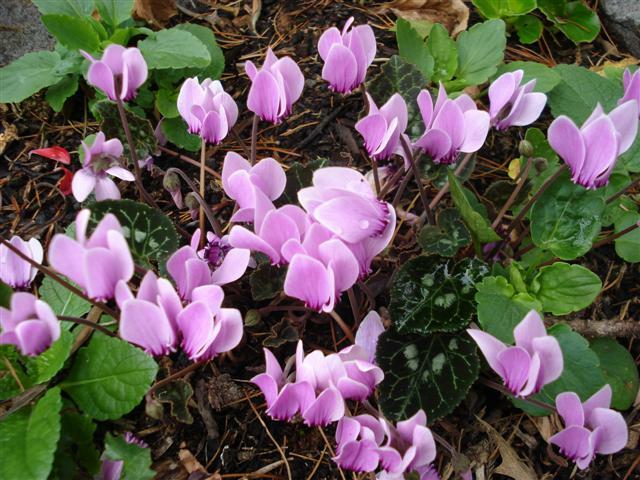 Cyclamen hederifolium, Moraea polystachya, the nerine sarniensis hybrids, colchicums, Haemanthus coccineus and ornamental oxalis are coming into their own and make very pretty pictures. They offer some compensation for the fading summer and remind us why, in a large garden, we treasure the very small seasonal pictures that the bulbs contribute. 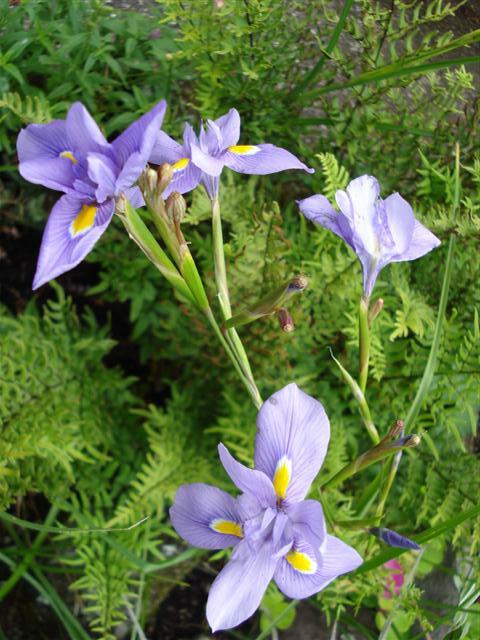 This entry was posted in Tikorangi notes and tagged Abbie Jury, autumn flowering bulbs, colchicum autumnale. cyclamen, moraea poystachya on 26 March 2010 by Abbie Jury.